1. Carbon Leaf, Nothing Rhymes With Woman - Songs such as the shimmering Lake of Silver Bells, blues-minded Another Man's Woman, introspective Miss Hollywood and Celtic rocker Pink showcase the Virginia band's unique place in the modern music universe. I also got to see Carbon Leaf at The Coach House in 2009, with that concert stop allowing me a chance to hear many songs from Nothing Rhymes With Woman live. 2. Joe Bonamassa, The Ballad of John Henry - With the release of his seventh album, The Ballad of John Henry, singer-songwriter-guitarist Joe Bonamassa has delivered on the promise of his childhood prodigy talents. Featuring a wonderful mix of slow, soulful blues, classic-sounding British blues-rock and dizzying guitar workouts, the disc's dozen tracks explore the struggles and contributions of real-life working-class heroes. 3. The Decemberists, The Hazards of Love - While the album as a format may be spending its days in the intensive care unit, don't tell that to Portland's Decemberists. The Hazards of Love is a concept album that is best heard from start to finish, with the British folk-rooted style and ambitious story bound together in a way that recalls winning efforts such as Jethro Tull's underrated A Passion Play and the Who's seminal Tommy. And, no surprise, The Hazards of Love has also been released on vinyl. Nice. 4. Pearl Jam, Backspacer - On 2009's Backspacer, the pioneering outfit has issued an outstanding album that effortlessly blends its grunge foundation with new wave and power-pop. Backspacer is equal parts Neil Young and R.E.M., and demonstrates the greatness of a band able to surprise and delight almost two decades into its career. 5. Michael Ubaldini, Portable Record Player - On his latest studio disc, Fountain Valley, California-based Michael Ubaldini continues to mine his rich Americana and folk roots, but blends those styles with 1960s garage band-pop in the vein of the Zombies and early Kinks. Songs such as the scorching Scandal and Not a Heart Left to Steal are among his best-ever rockers, while the tender Memories of Belgium showcases his lyrical and descriptive song craft. 6. Dave Matthews Band, Big Whiskey and the Groogrux King - With a collection of songs that rock (Why I Am), groove (Shake Me Like a Monkey) and elicit tears (Lying in the Hands of God), DMB hit one out of the park with this one. 7. Muse, The Resistance - If Queen had emerged in the '00s, it might sound something like Muse. There was a time not long ago, when this kind of big, bold and brazen rock was out of fashion. The Resistance is both brash and beautiful, and it seems that Muse has finally been able to quiet the endless comparisons with Radiohead. 8. Pet Shop Boys, Yes - Before music fans dismiss this choice with a "Are you kidding me?," it might best be to get a good listen to the latest studio release from Neil Tennant and Chris Lowe. Songs such as Did You See Me Coming?, Love Etc. and Vulnerable easily equal or best the duo's best-known hits (West End Girls, It's a Sin). The third track on the disc, Beautiful People, is my favorite song of 2009. A great dance record. A great record period. 9. Grizzyl Bear, Vecatimest - Even if I didn't like Grizzly Bear's dazzling mix of Beatlesque harmonies, Radiohead-styled experimentalism and all the nifty jazz touches, I would recommend everybody hear this. But the fact that all the eclecticism is wrapped in wonderful songs that are artful and easy on the ears makes this one of the top release of 2009. Just don't ask me to pronounce Vecatimest. I can't. 10. Dinosaur Jr., Farm - Armed with distorted guitars enhanced by waves of feedback, guitarist J Mascis and company served up a heavy dose of classic rock served up on sonic steroids. From the moment Dinosaur Jr. launches into Pieces, it's clear there is a timelessness and power to the band that remains a wonderful bridge between Neil Young classic rock and all the alt rock heroes who have followed in Dinosaur Jr.'s footsteps over the past 25 years. Alison Brown, The Company You Keep - The talented banjo player and composer released another gem, this one featuring her work fused with pianist John R Burr and bassist Garry West and other musical pals. Pat DiNizio, Pat DiNizio/Buddy Holly - Pat DiNizio is the incredibly-talented lead singer of The Smithereens. He took the 50th anniversary of the so-called "Day the Music Died" to release a tribute to the great Buddy Holly. This is a loving and lasting keepsake to many of Holly's most beloved songs from an artist who honors the originals while bringing his own style to the classic material. Morrissey, Years of Refusal - Speaking of 1959, Morrissey was born the year that Holly died. Fifty years later, Morrissey is making some of the best music of his long career. His voice and songwriting skills have not dimmed and he continues to display a style that defies comparison. U2, No Line on the Horizon - Many regular readers of my writing were likely surprised this album didn't land on my Top 10. It well could have and is a great album. One of the rarest rock events ever captured on film, the 1964 concert known as The T.A.M.I. Show, featuring performances by future Rock and Roll Hall of Famers the Rolling Stones, James Brown, Chuck Berry, the Beach Boys, Marvin Gaye, Smokey Robinson & the Miracles, the Supremes and many others, will be officially released for the first time by Shout! Factory on March 23, 2010. The T.A.M.I. Show: Collector's Edition includes exciting new bonus features including new commentary by director Steve Binder, original T.A.M.I. Show radio spots, and a 20-page booklet with liner notes and rare photos and memorabilia. The T.A.M.I. Show was filmed live at the Santa Monica Civic Auditorium in 1964, a mere seven months after The Beatles appeared on The Ed Sullivan Show and introduced the Swinging '60s to America. This legendary film has never been available on DVD, and hasn't been seen in its entirety since it originally appeared in theaters, including its "world premiere" at 33 Los Angeles area movie theaters on Nov. 14, 1964. Mastered from a new high-definition transfer and restored to its original length, this complete version features the Beach Boys performances that were removed shortly after the film's initial theatrical run. The T.A.M.I. Show is the first concert movie of the rock era, capturing such superstars as the Rolling Stones (a line-up that included guitarist Brian Jones), James Brown, Chuck Berry, the Beach Boys, the Supremes, Marvin Gaye, Jan & Dean, Gerry and the Pacemakers, the Miracles (featuring Smokey Robinson), and many other Motown and British Invasion acts in their early prime. 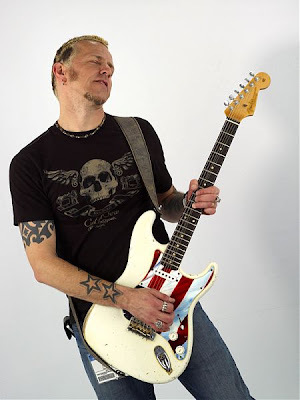 Virtuoso guitarist Gary Hoey brings his annual holiday show to the Coach House in San Juan Capistrano on Saturday night, Dec. 19. Hoey has released several Christmas-minded sets since the mid-1990s and his "Gary 'Ho Ho' Hoey" shows have become an increasingly-popular concert draw every December. Fans who attend his upcoming show at the Coach House this weekend will likely hear him play instrumental, electric guitar-anchored versions of traditional material such as "Jingle Bell Rock," "The First Noel" and "Winter Wonderland," all of which can be heard on 2003's Ho! Ho! Hoey: the Complete Collection. My complete concert preview on Hoey's upcoming concert will be posted on the Orange County Register later this week. I've been so busy this week, I have not had a chance to reflect on the GRAMMY Award nominations. In no particular order, here are some deserving artists who earned nominations for the upcoming 52nd Annual GRAMMY Awards that will be in my thoughts next month. The annual awards ceremony is set to be held on Sunday, Jan. 31, 2010. Neil Young has been nominated for two 2010 GRAMMY Awards, with the title track from his latest studio album Fork in the Road nominated for "Best Solo Rock Vocal Performance," while his Archives Vol. 1 (1963-1972) has been nominated for "Best Boxed or Special Limited Edition Package." Rosanne Cash earned a "Best Pop Collaboration with Vocals" category nod for her performance of "Sea of Heartbreak," a duet with Bruce Springsteen featured on her latest album The List. This is Cash's ninth career nomination. The Dave Matthews Band's Big Whiskey and the Groogrux King earned a nomination in the "Album of the Year" category, while Daryl Hall & John Oates picked up recognizion for "Sara Smile" in the "Best Pop Performance by a Duo or Group With Vocals. Atlanta-based Third Day received three GRAMMY Award nominations, being recognized in the "Best Gospel Performance" and "Best Gospel Song" categories for the song "Born Again" from its Revelation album. In addition, Live Revelations: On Stage, Off Stage, Backstage also received a nomination in the "Best Rock or Rap Gospel Album" category. And finally, Jars of Clay received a nomination in the "Best Pop/Contemporary Gospel Album" category for its April 21, 2009 release, The Long Fall Back To Earth. Best of luck to all of these great artists in January when winners are announced! Been a busy week for me. I reviewed David Archuleta at The Grove of Anaheim on Wednesday night (Dec. 2) and bounced back to review Trans-Siberian Orchestra last night (Dec. 3) at the Honda Center. Although both were centered around Christmas music, the shows were completely different. Fans of multi-platinum power rockers Creed are in for a special treat this holiday season as CREED LIVE, the first-ever DVD from one of the most successful bands of the past decade, hits stores and all major online retailers on Dec. 8, 2009, the day after its nationwide theatrical screening in movie theaters. CREED LIVE, captured during the band's recent "Full Circle" reunion tour, includes every favorite track from the band, including "Higher," "My Sacrifice," "With Arms Wide Open" and "Bullets" plus new songs such as the powerful "Overcome" and "A Thousand Faces" from Full Circle, the band's first studio effort in seven years. 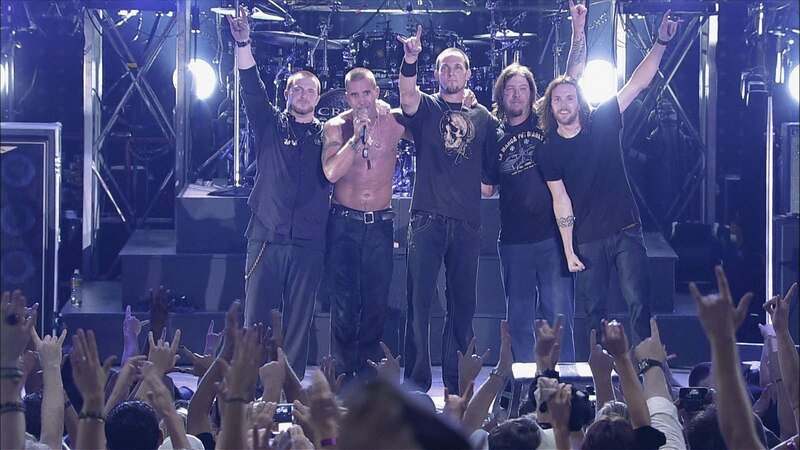 The DVD also includes a revealing documentary that follows Creed throughout the "Full Circle" tour with exclusive band interviews and behind-the-scenes, and a photo gallery with more than 100 photos from the summer 2009 trek. 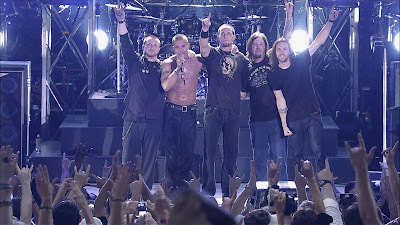 To preview clips of CREED LIVE, go to www.rockpit.com or www.creed.com. This review was originally posted on the Orange County Register's Soundcheck Blog on Wednesday, Nov. 11, 2009. I took the photo seen here at the show that night. Back in February, increasingly acclaimed singer-guitarist Joe Bonamassa released the seventh and strongest album of his burgeoning career, the aptly-titled The Ballad of John Henry. Featuring a mix of slow, soulful blues (a version of Tom Waits' "Jockey Full of Bourbon," his own "Happier Times"), classic-sounding British blues-rock ("Feelin' Good," "The Great Flood"), the disc's dozen tracks explore the struggles and contributions of real-life working-class heroes. But performing before a fervent, capacity crowd on Tuesday night, Nov. 10, 2009 at The Coach House in San Juan Capistrano, Bonamassa was another kind of hero altogether - the consummate guitar hero - who gave those everyday Joes he profiles on his latest studio effort a two-hour breather from the uncertain times that have marked the latter half of this decade. Anyone who has seen Bonamassa, 32, knows the Upstate New York native can shred on six strings. Watching his 15-song performance on Tuesday, it was clear his approach is about much more than the speed and number of notes he played - it's about his bond with the guitar and his band, as well as the emotional depths he reaches with his music. Kicking off this first of two Coach House gigs by belting his latest title track, Bonamassa's powerful vocals at times recalled Bad Company frontman Paul Rodgers, showcasing just how many skills this long-gestating new star has in his impressive sonic arsenal. And no matter the song, Bonamassa's fretwork lent artful shading to his arrangements. Although Bonamassa generally let his music making do the talking, he did take a break in the set to note that Nov. 10 marked the 20th anniversary of his first professional show (he has been playing guitar since age 5). He and his band - bassist Carmine Rojas, keyboardist Rick Melick and incredible drummer Bogie Bowles - celebrated the occasion with memorable performances of some of his greatest material, including the fast rocker "Lonesome Road Blues" (akin to primo Eric Clapton) and the beautiful "Happier Times," during which his vocals took center stage. Whether in a club or outdoors at a festival, something magnetic happens when Bonamassa steps to the front of the stage, leans his head back and simply lets loose. Now that the virtuoso guitarist has teamed that astonishing gift with his vocals and songcraft, best watch out - he might finally get recognized as the next Stevie Ray Vaughan after all. 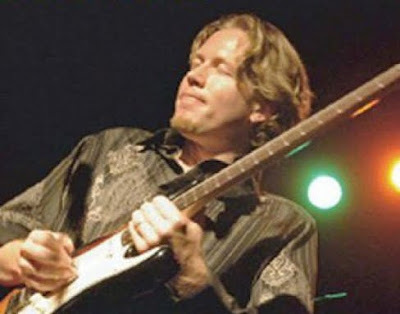 Shawn Jones, a Southern California-based singer-songwriter-guitarist, displayed many of the same instincts as Bonamassa throughout his 45-minute performance. Armed with an authentic, emotive voice, Jones used every verse, chorus and guitar break to share real feeling with the receptive crowd. His eight-song set here was highlighted by the Delta blues-ish "Glorybound," an upbeat and crowd-pleasing "I Can't Help Myself" and a beautiful ballad titled "Heaven's Daughter" that showcased his dazzling guitar playing and strong vocals. Nov. 6, 2009 - As part of its ongoing Archives reissue campaign with legendary singer-songwriter Neil Young, Reprise Records will release re-mastered versions of the first four of Young's classic solo albums, 1969's Neil Young and Everybody Knows This is Nowhere, 1970's After the Gold Rush and 1972's Harvest. These very special reissues, which will be available on Nov. 23, have each been re-mastered from the original analog master tapes by Chris Bellman at Bernie Grundman Mastering Studios in Hollywood, CA. The albums are being reissued on both vinyl and compact disc. 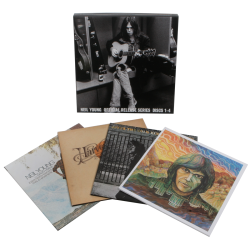 For more information on these releases, visit http://www.neilyoung.com/ or http://www.becausesoundmatters.com/. Today marks the official release date for an exciting and eclectic release from 429 Records. "The Village - A Celebration of the Music of Greenwich Village" features a number of acclaimed artists who might not typically perform together, but whose collective talents are the perfect fit on this fascinating compilation disc. The 13 songs on the disc are a celebration of the early-mid 1960s, when the Greenwich Village area of New York City was suddenly the center of a "musical, political and social evolution" that gave birth to a movement that stretched from the Big Apple (Bob Dylan) to Orange County, California (Tim Buckley). The artists who emerged out of this scene created groundbreaking folk music that gave voice to a young generation grappling with everything from the Vietnam War to the civil rights movement. Fast forward to 2009 and more than a dozen artists pay musical tribute with renditions of popular songs of the day, as well as traditional gems that captured the youthful spirit of those turbulent times. Many compilations have a great song or two, with the others worth nothing more than a single listen. Not "The Village." This collection is especially strong, with Rickie Lee Jones kicking things off with a funky "Subterranean Homesick Blues" that is loose and infectious. Lucinda Williams also tackles a Bob Dylan classic, but her emotive delivery of "Positively 4th Street" is hushed and haunting. 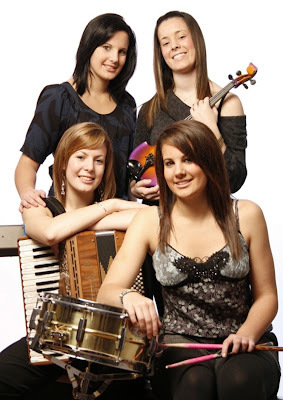 Anyone who wonders whatever happened to Sixpence None the Richer will hear that the appeal of the reunited group is intact. Covering the traditional "Wayfaring Stranger," singer Leigh Nash's beautiful soprano floats over an artfully-arranged soundscape highlighted by Matt Slocum's wonderful guitar work. Shelby Lynne also tackles a Dylan classic, using her strong vocal and a simple backdrop of guitars in "Don't Think Twice It's Alright." Other highlights on this ambitous collection include John Oates Americana-styled "He Was a Friend of Mine," Los Lobos' "Guantanamera," and Rachael Yamagata's "Both Sides Now." Priced at only $11.99 at Amazon.com, I really recommend this set to everyone who is a fan of folk music, the '60s music scene or any of the artists featured on the collection. This article was first posted on the Orange County Register Web site on Monday, Nov. 2, 2009. While the Bravery may continue to sound like a hybrid born out of early Cure and War-era U2, the quintet's strong concert on Sunday night (Nov. 1) at House of Blues Anaheim was certainly no tribute act. Under the charismatic leadership of singer Sam Endicott, the group's thrilling 70-minute show celebrated the New York band's blend of post-punk, new-wave and alt rock with 18 songs pulled from the past as well as its coming release, Stir the Blood, a self-described angry album due Dec. 1, 2009. The Bravery had several things going in its favor at the Mouse House: a large and enthusiastic crowd in tune with the outfit's approach plus a set list showcasing the band's songwriting and live skills at their best. Whether performing its best-known material ("Unconditional," "Believe," "An Honest Mistake," "The Ocean") or new songs ("I Have Seen the Future," "Jack O' Lantern Man"), the Bravery's cohesive sound blended with artful projections of lights and films shown behind and over them. Endicott, lead guitarist Michael Zakarin, bassist Mike Hindert, drummer Anthony Burulcich and keyboardist John Conway didn't use the visuals so they could scale back their own musical attack, but rather to enhance the show. Among the strong new sneak peeks in the mix were "Slow Poison," bolstered by both a driving dance beat and a layered guitar sound (Zakarin used a violin bow to play his electric guitar, evoking Sigur Ros), and "Red Hands and White Knuckles," which Endicott described as his love song to New York City. The Bravery has a potent one-two attack with a lineup that features both a commanding lead singer and a skillful lead guitarist. Endicott used his outgoing personality and striking vocals to lead the proceedings with Zakarin fitting in comfortably nearby, before suddenly unleashing memorable fretwork that provided extra zing throughout the set. A true bonus for those who caught the Bravery on Sunday night was the inclusion of two strong opening acts. Although the Dustys and Living Things each performed for only about 30 minutes, both acts made the most of their brief turns. The former, from Arlington, Va., recall England's Doves, offering up alluring indie-rock; the latter, out of St. Louis, creates retro rock that's an unlikely sonic cross between the Ramones and '70s Rolling Stones, punched up by raw, in-your-face lyrics. What does a modern-day big band leader do when they want to re-create the sounds of classic 1950s film noir music? 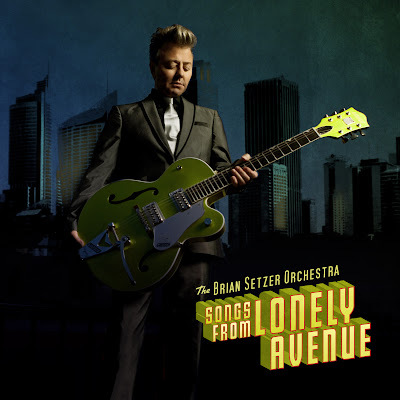 For Brian Setzer, the answer was simply to go to the source, the legendary Frank Comstock, who wrote arrangements for Benny Carter, Stan Kenton, Les Brown, and Judy Garland, penned the theme songs for Rocky & Bullwinkle, Adam 12, and Dragnet, and recorded the cult classic ‘Music From Outer Space’. Comstock wrote the horn charts for nine of the twelve tracks on ‘Songs From Lonely Avenue,’ (Surfdog/ Oct. 13, 2009), having also worked with Setzer on his last album ‘Wolfgang’s Big Night Out’. As Setzer saw it, only Comstock was capable of putting together these electrifying, sophisticated and yet emotionally raw horn charts, evoking the big-band scores of half a century ago in a language that would connect immediately with the contemporary listener.“Frank is the only one left,” Setzer says of his collaborator. Burbank, CA – The week of November 22, 2009, Tom Petty and The Heartbreakers and Reprise Records will release "The Live Anthology," a multiple-disc set of recordings drawn from 30 years of live performances. The collection brings together material from 1978-2007 culled from hundreds of hours of live concert recordings covering every era of Tom Petty and the Heartbreakers’ tours and represents the best tracks as chosen by producers Tom Petty, Mike Campbell and Ryan Ulyate. "The Live Anthology" will come in multiple configurations including a 5-CD collector’s deluxe box set available only at Best Buy that will include a first-of-its-kind audio-only Blu-ray disc. The collector’s deluxe package will be in Best Buy stores on November 22, 2009. All other configurations will be in stores and available online on November 24, 2009. The release of "The Live Anthology" comes on the heels of two sold out tours, the Grammy winning documentary "Runnin’ Down A Dream" (directed by Peter Bogdanovich), and a headline performance at the Super Bowl XLII halftime show. Now, Tom Petty and the Heartbreakers - one of rock and roll’s greatest touring bands – will mark their unparalleled string of successes with the release of this landmark collection of live recordings that is unlike anything previously available—the band’s story told through the music alone. The producers made no fixes or overdubs, letting the newly-mixed original recordings showcase the invention, spontaneity, craft, and the musicianship that has made Tom Petty and the Heartbreakers among the most celebrated live performers of their time. Along with powerful interpretations of their own classic hits and originals, "The Live Anthology" features the band tackling some of their best-loved cover material, from classics to obscure beauties to unexpected adaptations. The theme from Goldfinger, the Zombies’ “I Want You Back Again,” the Grateful Dead’s “Friend of the Devil,” early Fleetwood Mac’s “Oh Well,” Booker T. and the MGs’ “Green Onions,” James Brown’s “Good, Good Lovin’” and many more. Tom Petty and The Heartbreakers travel wide, paying their musical debts through song and showing just how confidently the band moves across genres and over time. 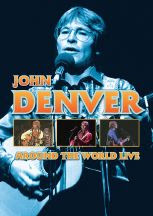 - Two previously unreleased DVDs including the 1978 New Year’s Eve concert from Santa Monica , CA and the Martyn Atkins documentary 400 Days shot during the recording and tour for Wildflowers. - A re-mastered vinyl of the 1976 Official Live ‘Leg bootleg. - AND MORE (see details below). A seven LP vinyl box set of 51 tracks mastered directly from the uncompressed 24-bit 96K files and pressed on 180-gram audiophile quality high performance vinyl. The Tom Petty and The Heartbreakers SuperHighway Tour is a first of its kind, online-only music experience that delivers 24 of the 48 Live Anthology tracks as high-quality digital downloads and on-demand streams over 8 weeks in advance of the Live Anthology’s release. Ticketholders will receive an insider’s view of those 24 tracks, through archived memorabilia reproduced on the site, new band commentary, classic reviews, and curated content from the Tom Petty and The Heartbreakers vaults. Fans will also be able to share their photos and stories from their favorite Tom Petty and The Heartbreakers shows. Then on the album’s November 24th release, ticketholders will receive the remaining 24 tracks on The Live Anthology, thereby completing the digital album. Access to the SuperHighway Tour will be available to fans that purchase tickets from Ticketmaster.com or through the Superhighway Tour box office. Tickets for the entire 8-week SuperHighway Tour go on sale September 29th at 10am EST/7am PST through Ticketmaster.com and TomPettySuperHighwayTour.com. The price of a SuperHighway Tour ticket includes all 48 The Live Anthology digital tracks plus the 8-week online experience for $24.98 without any additional service fees. Downloads will be available in 256kbps MP3 or FLAC formats - fan’s choice. A FREE PREVIEW of the SuperHighway Tour also starts on September 29th at http://www.tompettysuperhighwaytour.com and includes a FREE DOWNLOAD of a track from the 1981 run of shows at Los Angeles’ Forum. 48 tracks on 4 CDs plus booklet. Deluxe Box Set- Available Only at Best Buy. - 62 tracks on 5 CDs including 14 exclusive tracks on the 5th disc only available in the collector’s deluxe box set. - DVD of 400 Days, a previously unreleased documentary film by director Martyn Atkins, made during the 1995 Wildflowers Tour. - DVD of previously unreleased New Years Eve 1978 Santa Monica , CA concert. - Vinyl of the re-mastered 1976 Official Live ‘Leg bootleg album. - One Blu-ray disc of all 62 tracks in both stereo and surround sound. This high resolution Blu-ray is an audio only disc with basic song navigation and information displayed on the screen. The 96K 24-bit audio on the disc has 256 times more resolution than a CD providing greater detail and reproducing the music’s full dynamic range, from the softest to the loudest sounds. - Deluxe book with liner notes offering personal perspective by Tom Petty, Warren Zanes, Bill Flanagan, Robert Hilburn, Joel Selvin, Austin Scaggs, and Phil Sutcliffe. - The Live Anthology notebook. - Assorted authentic vintage backstage satin passes. - 51 tracks mastered directly from the uncompressed 24-bit 96K files and pressed on 7 180-gram audiophile quality vinyl LPs. - Deluxe book with liner notes offering personal perspective on the band and their music by Tom Petty, Warren Zanes, Bill Flanagan, Robert Hilburn, Joel Selvin, Austin Scaggs, and Phil Sutcliffe. - The entire 48 track Live Anthology delivered digitally via TomPettySuperHighwayTour.com. - 24 tracks from The Live Anthology will be delivered over a period of 8 weeks prior to the album’s release and the remaining 24 tracks will be delivered on the album’s street date of November 24th. - The first 24 tracks include an insider’s online experience including new band commentary, archival memorabilia, vintage photos, videos, classic reviews from the shows, access to the SuperHighway Tour merchandise booth with limited edition authentic t-shirts, and even more vintage material. 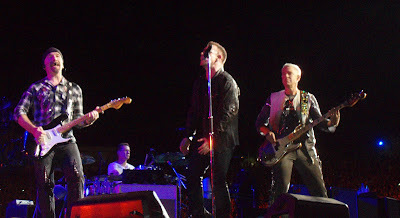 How is this U2 fans? Two days after the Irish quartet performs at the Rose Bowl in Pasadena, one of U2's greatest albums arrives in several remastered formats. Here is the news release! The links to Amazon.com are also provided so you can secure your advance orders now too. U2’s fourth album, The Unforgettable Fire has been remastered and will be released by Mercury Records on October 27, 2009. Special formats of The Unforgettable Fire will also feature bonus audio material, including two previously unheard tracks from the Slane Castle sessions: “Yoshino Blossom”, and “Disappearing Act” (a track which the band recently completed), and a DVD including music videos, a documentary and unreleased live footage from the Amnesty International Conspiracy of Hope Tour in 1986. The Unforgettable Fire has been remastered from the original audio tapes, with direction from The Edge. The Zombies are truly one of the great bands to come out of the 1960s. I wanted to share this news with all the other fans of this great band. 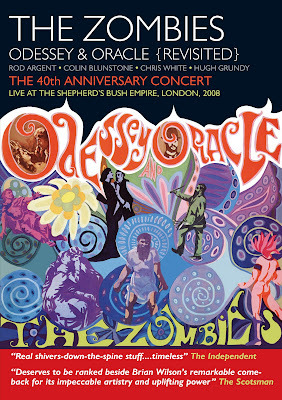 During March 2008, The Zombies performed their legendary 1968 psychedelic album Odessey and Oracle for the first time in 40 years since its original release. The band played three consecutive sold out concerts at the London Shepherds Bush Empire. One of these nights was filmed for this DVD. Mixed in 5.1 Surround Sound and boasting an exclusive 2008 filmed interview with the entire band, the live DVD lovingly documents the historic night when the original members of The Zombies reunited to perform the premiere of "Odessey & Oracle," preceded by a veritable banquet of Zombie connected material, from Argent hits to Colin Blunstone's string quintet material from his beautiful album "One Year." The DVD begins with 8 tracks performed by The Zombies 'Touring Band', consisting of Rod Argent, Colin Blunstone, Jim and Steve Rodford, and Keith Airey, playing a collection of classic Zombies' tracks prior to 'Odessey...', songs from Rod's later band Argent as well as Colin Blunstone solo material, augmented by a string Quartet. After a short interval the four remaining original members of The Zombies (Rod Argent, Colin Blunstone, Chris White, High Grundy) arrive on stage to perform landmark 1968 album Odessey & Oracle in all it's glory and, after an introduction from recording legend Al Kooper (The man responsible for Odessey's existence), kick off with 'Care of Cell 44', instantly letting you know you're in for a treat with it's beautifully escalating harmonies, excelling all expectations when experienced live. This is followed by many further highlights including the layered harmonies of 'Maybe After He's Gone' and 'Beechwood Park', the soaring vocals during 'Hung Up On A Dream' and an amazing performance of 'Time of the Season' heralds a standing ovation before they close with their much loved debut hit 'She's Not There'. This article was first posted on the Orange County Register Web site on Tuesday, Sept. 15, 2009. Throughout the 1970s, '80s and early '90s, several guitarists were celebrated for their virtuoso skills on the fretboard, including Jimmy Page, Jeff Beck, Steve Morse and Eric Johnson. The art of accomplished guitar playing is making a comeback, with Orange County's own Marc Seal helping to return strong musicianship to the foreground of popular music. 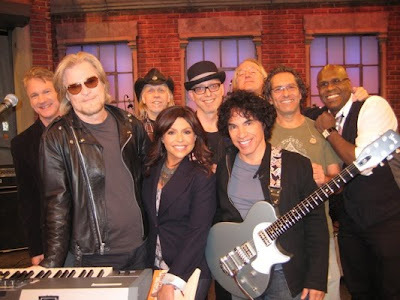 Seal, a musician and an instructor, will headline Saturday, Sept. 19, 2009 at The Coach House in San Juan Capistrano, where he recorded his concert album "Live at the Coach House" on May 21, 2005. "Live at the Coach House," released in September that year, is highlighted by "Strat Boogie," "Above the Clouds, Pt. 1" and "Running Alone." In addition to his recordings and live performances, Seal has extended his influence via his "Ultimate Guitar Show," which appears three times a week on local cable channels throughout Southern California and on the Internet. 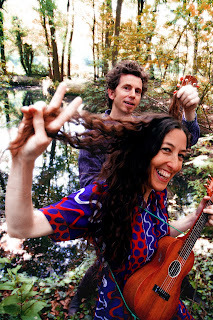 The show has been viewed in more than 40 nations via the Web and features performances and appearances by other musicians, including Jason Mraz and Toby Lightman. For more information on Marc Seal, visit his official Web site at www.marcseal.com. For more details about the show, visit www.thecoachhouse.com. Burbank, CA – On November 3, 2009, Sire Records will release the DVD and digital download editions of "Dear Jack" — a deeply personal documentary made by Jack’s Mannequin frontman Andrew McMahon — that chronicles the year that McMahon, then 22, spent battling acute lymphoma leukemia while trying to release Jack’s Mannequin’s 2005 debut album "Everything in Transit." "Dear Jack" chronicles Andrew McMahon on a rollercoaster year, through the highs of recording and releasing the first Jack's Mannequin album, and the lows of being diagnosed with leukemia and breaking up with the love of his life. Using a DV camera Sire Records bought him to capture the making of his album, McMahon shot everything before and after that crucial day in May of 2005 when he both finished the project and was diagnosed with cancer. Directed by filmmakers Cory Moss and Josh Morrisroe and narrated by Tommy Lee, this documentary is a raw look at the battle that is leukemia, from spinal taps to radiation, from using a lint brush to remove your hair to infusing your body with someone else's stem cells (in this case, Andrew's sister Kate). "Dear Jack" is a breathtakingly emotional film as well as a testament to family, friends and, perhaps more than anyone will ever know, a love of making music. The DVD of Dear Jack will be available for pre-order from Jack’s Mannequin’s website (http://www.jacksmannequin.com/) beginning September 14, 2009. Those who pre-order will get access to an exclusive newly recorded and previously unreleased track, “Swim (Music Box)" as an instant audio bonus, and an exclusive movie lithograph poster. Cost of this limited edition fan bundle will be $29.99. The film will also be available for digital download on iTunes. Three theatrical screenings of Dear Jack will also be held for fans and press in October. The film will also be shown at the Landmark Theater in Chicago on October 8th, the IFC Theater in New York City on October 22nd, and a theater location yet to be confirmed in Los Angeles on October 28th. McMahon will hit the road for a solo tour, just him and a piano, in October to raise awareness about Dear Jack. Confirmed dates are listed below. In other news, “Swim” — the second single and video from Jack’s Mannequin’s current album "The Glass Passenger" — can be seen and heard as one of the primary visuals in promo spots teasing the premiere of CBS’s new fall drama Three Rivers. A show about organ transplantation, Three Rivers deals with second chances, what you do with them, and who deserves them, according to executive producer Carol Barbee. “Swim,” a powerful, layered song about fighting for the goodness in life at all costs, dovetails perfectly with the show’s theme. As always, keep an eye on http://www.jacksmannequin.com/ for news, information, tour dates, Andrew’s blog, merch, and much more. My concert review was originally posted on the Orange County Register Web site earlier today (Monday, Sept. 14, 2009). There was so much to love about Dave Matthews Band’s incredible show Sunday night (Sept. 13, 2009) at Verizon Wireless Amphitheater. The 155-minute set undoubtedly ranks as one of the best gigs ever staged at the Irvine venue. Touring in connection with the troupe’s most recent album, the excellent Big Whiskey and the GrooGrux King, and coming on the heels of the group’s first shows at the Greek Theatre and a stop in Chula Vista, singer-guitarist Matthews and his six-man outfit performed most of songs off that release, as well as epic versions of material from earlier albums and an infectious cover of Talking Heads’ “Burning Down the House” that, well, brought down the house. Long recognized as one of modern rock’s best live ensembles, the group has a surprisingly simple secret to its power. DMB’s lineup of regular members and touring players explode on stage without ever losing their sonic footing and, more importantly, without ever letting the song itself slip away. Despite their individual virtuoso skills, there wasn’t a single moment when they didn’t play as a team. Extended drum solos tend to kill a performance, whereas Carter Beauford’s showcase enlivened the momentum of the night. Typically, a guitarist as skilled as Tim Reynolds can be a distraction when the nuances of a song are at odds with blazing fretwork. Yet, throughout performances of “Seven” and “Funny the Way It Is” early in the set and “Why I Am” later on, his superlative skills only enhanced the proceedings. Saxophonist Jeff Coffin (like Reynolds, a touring member of the group) and violinist Boyd Tinsley had equally strong moments where their work shined across DMB’s 20-song set. 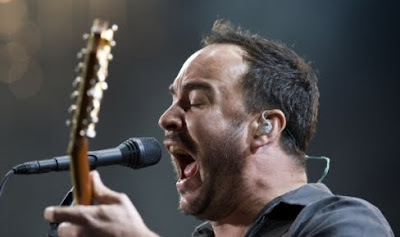 If there were any kind of common formula revealed on Sunday before an enthusiastic, near-capacity crowd at Verizon, it was how DMB might launch a song with an instrument or two positioned around Matthews’ emotive vocals. The song would then build to a blazing finish with plenty of impressive improvisation offering along the way. “Funny the Way It Is,” “So Damn Lucky” and “Squirm” were among many that flourished thanks to that approach. However, the band occasionally proved that formula wrong. On the instantly charging “Why I Am” and night-ending “Ants Marching,” DMB put the pedal to the metal from the get-go. Pity the fools who left the show early to beat the traffic. The first song on his first album began with strings, sustaining a hauntingly beautiful chord which faded into the song "To The Morning;” a song of hope invoking the day with the lyric, "There is really nothing left to say but 'come on, morning.'" "Birds", the last song on this, his last studio album, ends with the lyric, "It's over," and a similar sustained chord, fading to end the album. Long time fans, upon hearing the final chord of "Birds”, have said they expected to hear "To The Morning" begin to play. And so the ending meets the beginning, “In a spiral never-ending”. In 2006, Dan Fogelberg, the renowned singer-songwriter whose career spanned three decades and helped define introspective ballads and the acoustic-based rock music of the ‘70s and ‘80s, completed the recordings for an album he titled "Love In Time" and put them in a safe deposit box. Diagnosed with cancer two years earlier, he had not performed since, and asked his wife Jean to release the album after his death. Fogelberg, at age 56, passed away on December 16, 2007. Released digitally on August 13, 2009, which would’ve been Fogelberg’s 58th birthday, Love In Time (Full Moon/UMe) will finally be released physically to retail on September 22, 2009. Filled with great melodies and heartfelt lyricism, "Love In Time" is lifted up by Fogelberg’s versatile voice; at times soft and angelic, at times gravely and bluesy. Both a reflection of his beginnings and a testament to where his talent had taken him, the project began in 2003, before his diagnosis. While compiling material for a CD of live recordings, Fogelberg came upon several rough demos he had made earlier in his career. Inspired to finish them, he worked on the songs until May 2004, when he was diagnosed with advanced prostate cancer. During his subsequent battle with cancer, he also recorded three completely new songs in 2005 -- “Come To The Harbor,” written in Maine on his boat while waiting for his wife Jean to join him for a harbor dance; “Sometimes A Song", a Valentine for Jean; and "Birds", which he dedicated to her. They joined “Soft Voice,” “So Many Changes,” “A Growing Time,” “The Colors Of Eve,” “Diamonds To Dust,” “Nature Of The Game,” “Days To Come” and the title track to round out "Love In Time," which Fogelberg produced, recorded, sequenced, and played all the instruments on. All of the tracks make their physical debuts on "Love In Time"; only “Sometimes A Song” has been previously released digitally, as a download on Valentine’s Day 2008 to benefit the Prostate Cancer Foundation. "Love In Time" was preceded by 2003’s Full Circle, his first studio album of original songs since 1993’s River Of Souls. Celebrated by fans and acclaimed by critics, Full Circle was considered Fogelberg’s return to the artistic heights he had previously scaled. The Peoria-born Fogelberg was performing in coffeehouses around the University of Illinois when he was discovered. His 1972 debut album, "Home Free," led to 1974’s Joe Walsh-produced "Souvenirs" and stardom. Each of his first eight albums earned at least gold, with "Souvenirs," "Nether Lands" (1977), "Phoenix" (1979) and "The Innocent Age" (1981) double platinum, and "Captured Angel" (1975) and "Twin Sons Of Different Mothers" (1978), featuring flutist Tim Weisberg, platinum. His 1982 "Greatest Hits" album went triple platinum. "In a spiral never-ending are we drawn toward the source Spinning at the mercy of an unrelenting force So we stare into the emptiness and fall beneath the weight Circling the Nexus in a fevered dance with fate Wealthy the spirit that knows its own flight Stealthy the hunter who slays his own fright Blessed the traveler who journeys the length of the light"
From the song, "Nexus" by Dan Fogelberg. CHICAGO (September 2, 2009) – Feeding America is pleased to announce that Grammy Award-winning artist Sheryl Crow, Grammy Award-winning artist Ben Harper, Benji and Joel Madden of Good Charlotte, and Grammy Award-winning artist Jonny Lang will all perform at the “Rock a Little, Feed a Lot” concert on Tuesday, September 29th at Club Nokia in Los Angeles, a special concert being held during Hunger Action Month (September) to help raise awareness and funds for the 35 million people who are at risk of hunger in America. Tickets for “Rock a Little, Feed a Lot ” are on sale now at www.ticketmaster.com. Celebs confirmed to be a part of the event include David Arquette, Courteney Cox, Lisa Kudrow, and others. Adam Shankman, producer and director of “Step Up,” “Hairspray,” “Bringing Down the House,” and “17 Again” is directing the event. 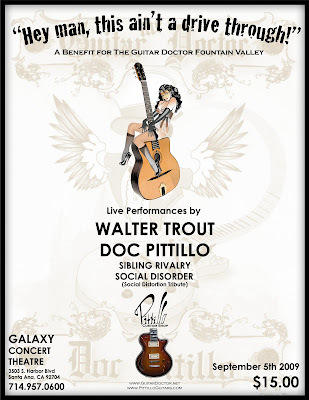 Proceeds of the concert will go to the Los Angeles Regional Foodbank and Feeding America. “It is so important for everyone across the country to dare to be conscious and aware of the struggles of those around them—even if those struggles are not the same as their own. Feeding America does just that, and it’s a great privilege for me to unite with them in their cause,” said Crow. “Rock a Little, Feed a Lot ” is one of many initiatives in the works for Feeding America’s Hunger Action Month and will benefit both Feeding America and its local member, the Los Angeles Regional Foodbank. Hunger Action Month, formed to help those in need, bloomed from a day of service into a month-long campaign as the economy has taken a turn for the worse and the demand for food assistance has increased. The Los Angeles Regional Foodbank is a non-profit, charitable organization established in 1973 and is one of the largest food banks in the United States . Through a network of 900 charitable agency sites, the Foodbank distributes more than 1 million pounds of food every week in Los Angeles County . The Foodbank is affiliated with Feeding America. For more information, visit www.lafoodbank.org. Feeding America is the nation's largest domestic hunger-relief organization. Our mission is to feed hungry Americans through a nationwide network of 205 food banks and engage our country in the fight to end hunger. Each year Feeding America provides food assistance to more than 25 million people, including 9 million children and 3 million seniors, distributing more than 2 billion pounds of donated food annually. The Feeding America network supports approximately 63,000 local agencies including food pantries, soup kitchens, emergency shelters, after-school programs, Kids Cafes and Backpack Programs.